Posted January 31st, 2018 by ryan & filed under Newsletters. THE MEN OF THE 10TH AND TO TOAST THE MOUNTAIN LIFESTYLE WE ALL CHERISH! Happy New Year! It is now 2018 and we wanted to finish 2017 on a high note! The picture above represents what we sent out to a platoon that we “adopted” that is currently serving in Iraq. We appreciate so much what these men and women do for our country and we wanted to say thank you! 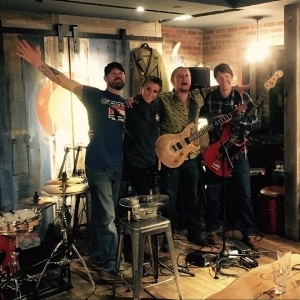 Also, check out below for our schedule of live music at our Tasting Room in Vail. Hope to see you there! Cheers to a new year! Stir ingredients with ice, then strain into a coupe glass. 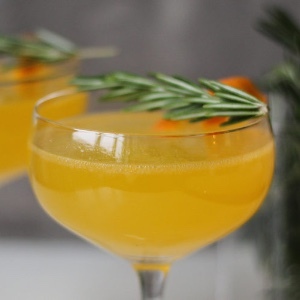 Serve up and garnish with an orange twist. We are extremely excited to announce War Angel Concerts, a non-profit organization we created that provides a controlled venue for Vets with PTSD to see their favorite bands. Check out warangelconcerts.org to learn more and to get involved! 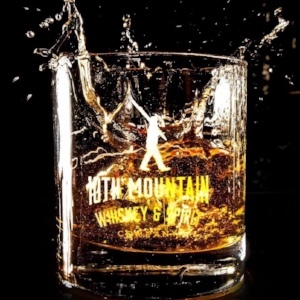 MEET THE EMPLOYEES OF 10TH MOUNTAIN WHISKEY! I’m from Chicago, grew up in Orlando and went to FSU. 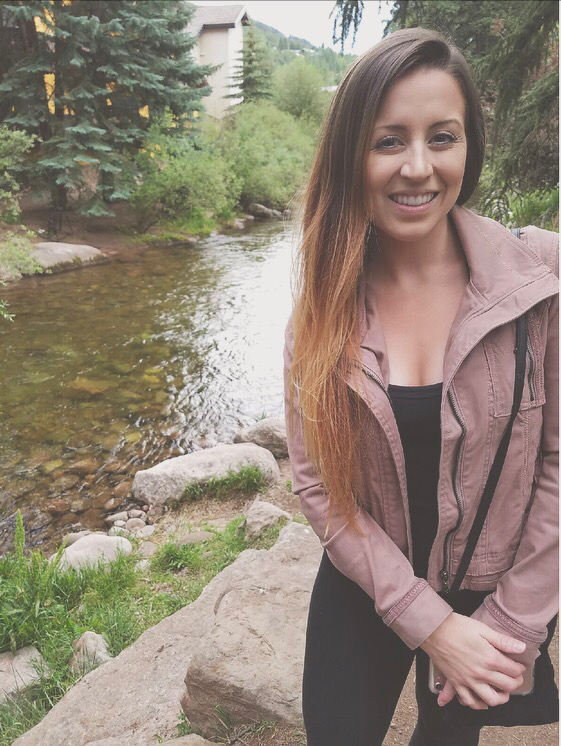 I love being outdoors, traveling and finding new adventures. My favorite hobbies are working out, hiking and wake boarding. 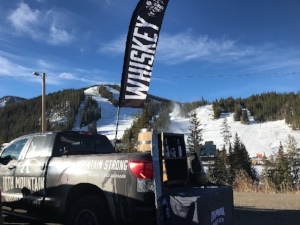 I am very excited to be in Vail and working with the best team at 10th Mountain Whiskey! Come on in and say hi! Cheers! 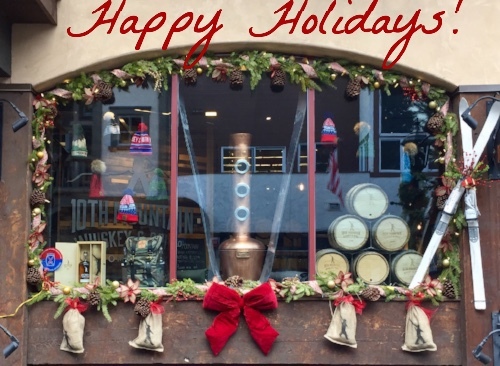 227 Bridge Street, Vail CO.
From our team to you, we’d like to wish you a Merry Christmas and a Happy New Year. 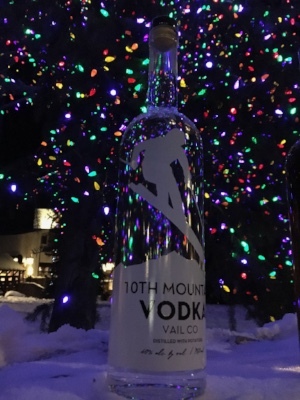 We’re enjoying the holiday season here in Vail and have a lot happening. 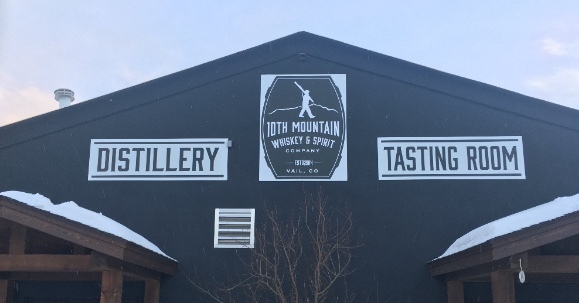 If you’re heading up skiing, make sure you allow some time to stop into our Vail village tasting room to say hello and have a few cocktails. 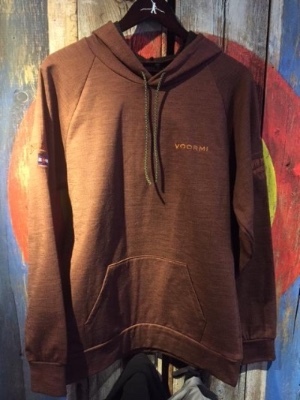 You can also do a little Christmas shopping while you’re at it! 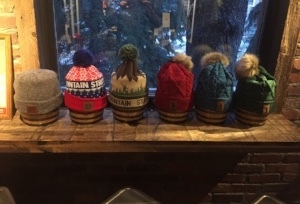 Also, keep us in mind for that unique Colorado gift for your friends and relatives that might not live in town. 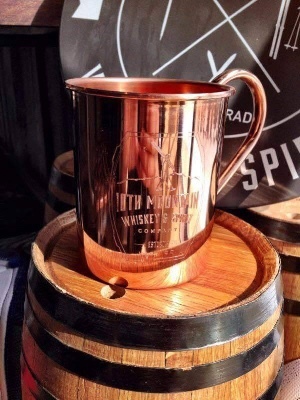 You can order online at 10thwhiskey.com or stop in to the tasting room. 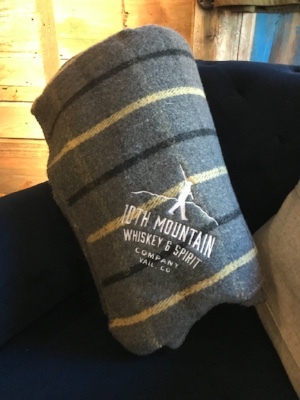 Keep in mind, whiskey….It’s the gift that always fits! Cheers! 1. In a small saucepan over medium heat, whisk the honey, ginger, cinnamon, cloves, and orange juice together until it starts to bubble. Remove from heat and let it cool for 5 minutes. 2. In a pitcher or shaker, mix the honey syrup and whiskey together with a good amount of ice so that it is completely chilled. Strain into a different pitcher or serving glass. 4. 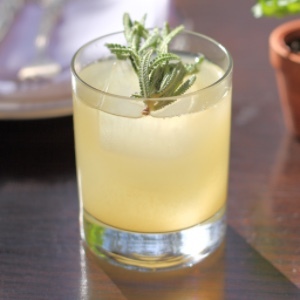 Just before serving, add prosecco to top off the glass and garnish with a ½ sprig of rosemary. 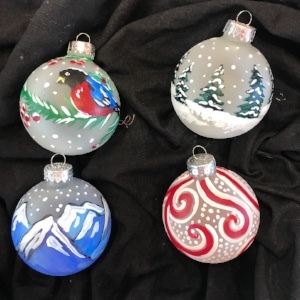 Ornament Painting at 10th Mountain Whiskey Tasting Room! $25 includes 2 ornaments and a cocktail (additional ornaments available for purchase at the event) For tickets, please register here. and finding good snow up high on Vail pass. 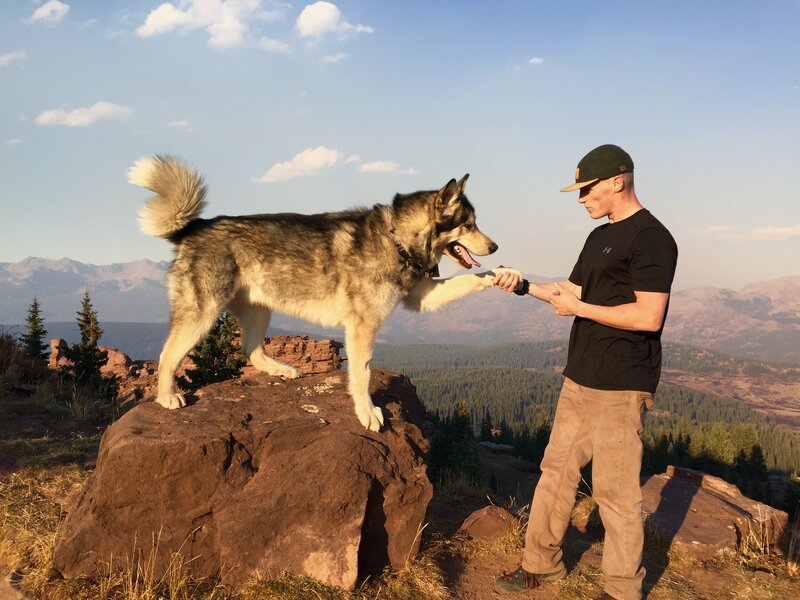 I can always be found with my best friend Rocky, a 130lbs Alaskan Malamute leading the way on all our adventures! Come in and see us at the Vail Tasting Room! Posted November 1st, 2017 by ryan & filed under Newsletters. Well if you missed our Prohibition Party we had for Halloween, put it on your calendar for next year! If you made it, thanks, it was an absolute blast! (Here is a link to a video of the evening). November is upon us so that means the holidays are here! Keep us in mind when attending holiday parties or when you’re looking for that special gift. Remember, our spirits are the gift that always fits! 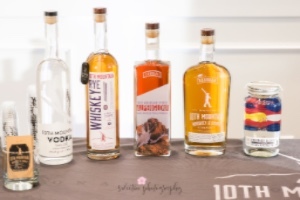 We can ship our spirits to 26 states and of course our merchandise all around the country. And as always, stop by and visit if you’re in Vail village or let us know if you want to come for a tour in Gypsum. Cheers! 1. Fill a cooper mug with ice. 2. Pour 2 oz 10th mountain Potato Vodka into mug. 3. Fill 2/3 full with apple cider, then top with ginger beer. 4. 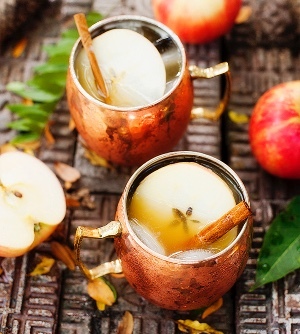 Garnish with an apple slice and a cinnamon stick. 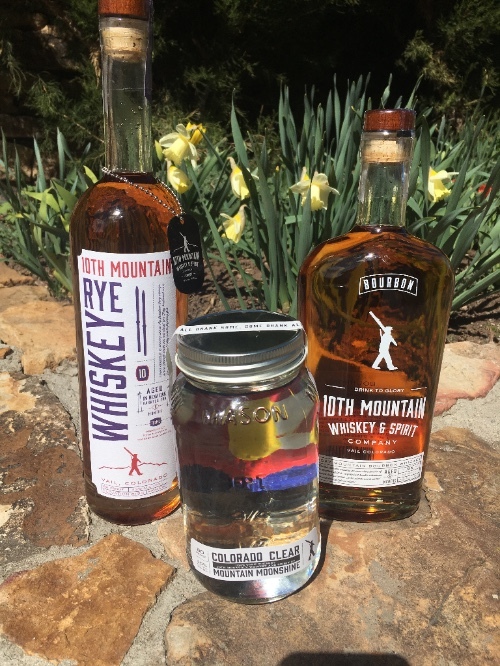 MEET THE PETS OF 10TH MOUNTAIN WHISKEY! October 2017 Monthly Mash Bill + Prohibition Party Details Inside! Posted October 2nd, 2017 by ryan & filed under Newsletters. 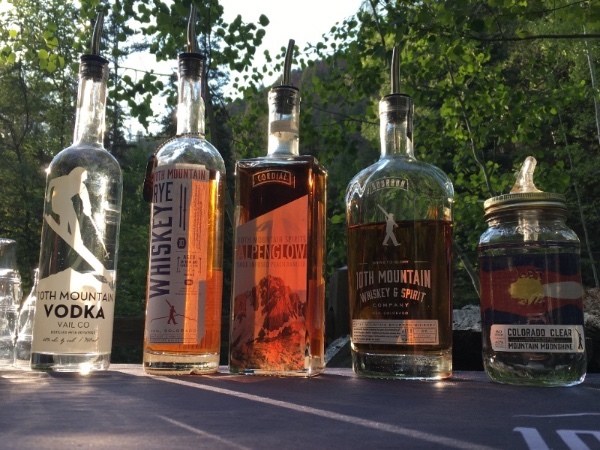 It’s definitely whiskey drinking weather in Vail! The mountain tops got a good amount of snow last night and it feels like winter is right around the corner. We’re at a lot of super fun events this month. Check out the list below and come on out and say hello if we’re in your area! 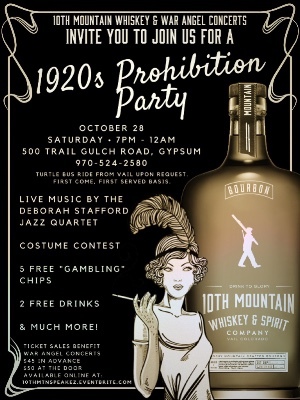 Also, check out the details of our Prohibition Party happening on Oct. 28th at the distillery! Cheers! 1. In spice grinder, pulse all of the spices to a powder. 2. In a saucepan, bring the milk to a simmer. Remove from the heat. Add the spices, sugar and tea and let stand for 10 minutes. Strain the chai into a bowl. Wipe out the saucepan. 3. 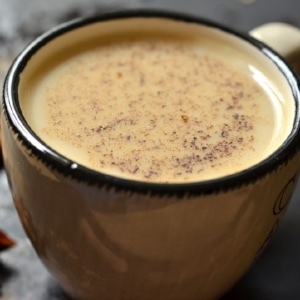 Return the chai to the saucepan and rewarm over moderate heat. Stir in the whiskey and serve hot. 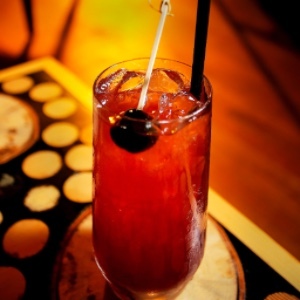 October 7th – Cocktail Specials! 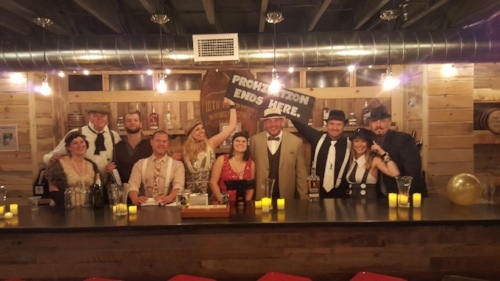 We are having a fun, 1920’s themed Prohibition Party just in time for Halloween! Dress up in your best Flapper costume, gangster outfit or any other costume you like! Tickets are $45 in advance, $50 at the door. Your ticket includes 2 drink tickets, 5 “gambling” chips, a chance to win prizes and so much more. There will be live Jazz Music performed by the Deborah Stafford Quartet out of Longmont, CO. The event will be from 7pm – 12am. Don’t miss out on the biggest party of the year that everyone will surely be talking about! To get your tickets click here! **Turtle Bus available from the Vail Transportation Center on a first come, first serve basis. 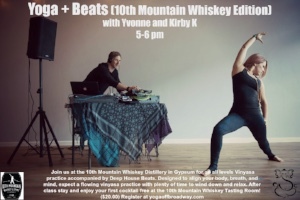 Please contact samantha@10thwhiskey.com to sign up. Hi! 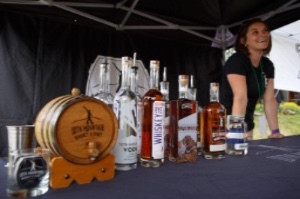 My name is Meghan Ross and I am a Colorado native and the Denver rep for 10th Mountain Whiskey & Spirit Company. I have the best time working at events and informing people about our wonderful products. 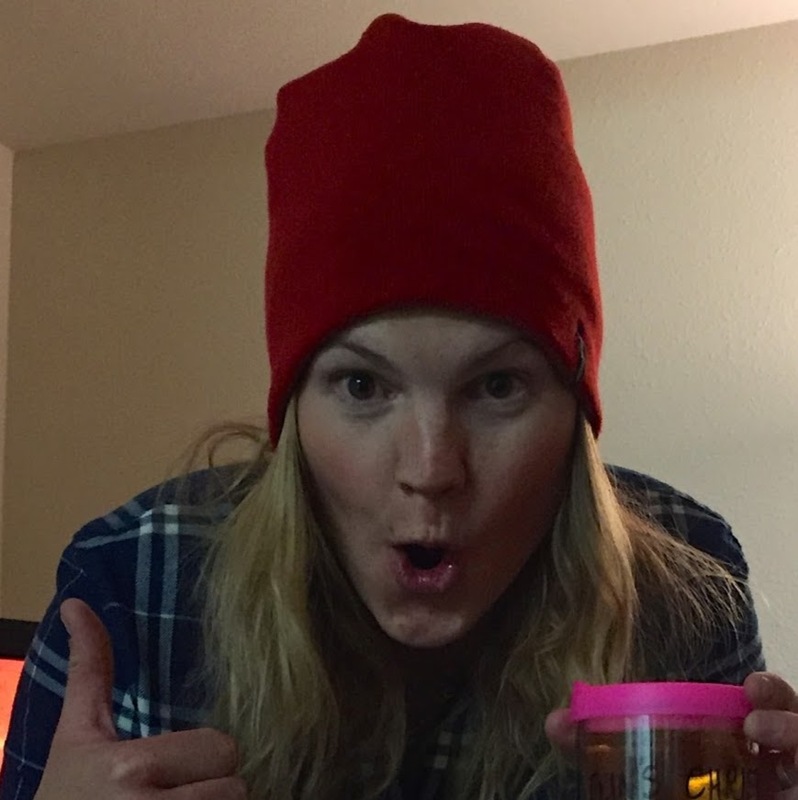 I enjoy spending time with family and friends, snowboarding, traveling and of course, drinking whiskey! Cheers! We are extremely excited to announce War Angel Concerts, a non-profit organization we created that provides a controlled venue for Vets with PTSD to see their favorite bands. 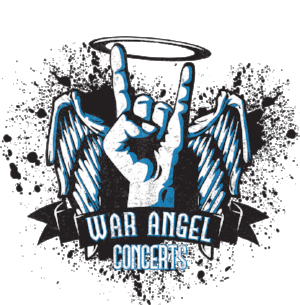 Check out WarAngelConcerts.org to learn more and to get involved! Cheers! In a large saucepan, boil 2 cups of water. Remove from heat and add the tea bags. Steep for 10 minutes and then discard the tea bags. Add the remaining 2 cups of water. In a cocktail shaker, pour in 10th Mountain Rye Whiskey, tea, simple syrup, lime juice and egg white. Shake vigorously and pour over ice in a rocks glass. Everyday has been even better than the last since I moved to the Vail valley two months ago. I came from Boulder, Colorado in high spirits, ready to start a new adventure and do something different with my life. It isn’t everyday you make your dreams come true! When I got the call from 10th Mountain Whiskey a few days before the move, I was more than ecstatic. Not only am I a bourbon girl, but I love the culture within the industry. I love talking to people who share the same passion, and am proud to say that my place of employment doesn’t feel like work, but rather a place where I can connect and learn without feeling like I’m stuck. It’s important to grow as a person, and that is exactly what I’m doing. Keep living, loving, growing, and drinking… it’s worth the ride! We have some exciting news to share with everyone. No, the picture above is not a political picture. 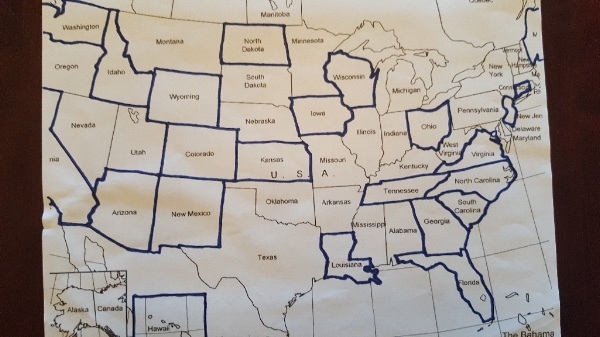 It’s a picture of the states we can now ship direct to consumers in! If the state is outlined, then it’s a state we can ship to! Just go on our website 10thwhiskey.com to purchase your bottles today! 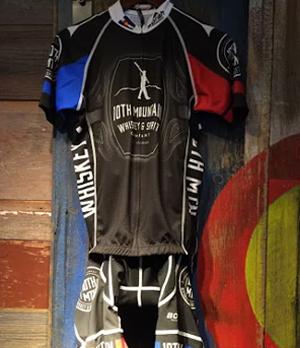 Stay tuned for additional awesome news coming from 10th Mountain Whiskey & Spirit Co.! In a large saucepan, boil 2 cups of the water. Remove from the heat and add the tea bags. Steep for 10 minutes and then discard the tea bags. Add the remaining 2 cups of water. 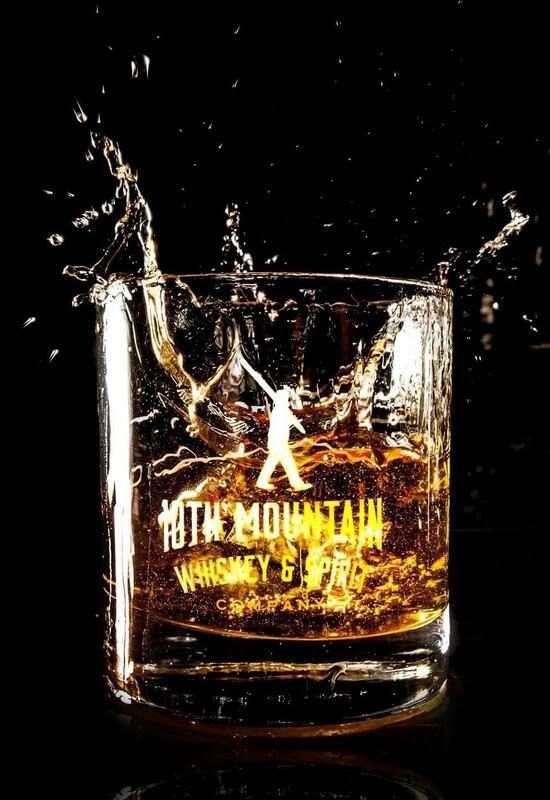 Stir in the 10th Mountain Bourbon, transfer to a pitcher and chill. Just before serving, add the lemon juice and club soda. Pour the drink into tall glasses filled with ice. Garnish each glass with a couple cherries. My name is Leo. I’m two and a half years old and have been loving the meowntain life since my mom adopted me from the shelter last fall. I’m not your typical house cat. I go on hikes, walk around town, and even hang out with my dog friends at the dog park! I’m always the center of attention when we go out because people are surprised to see a cat. 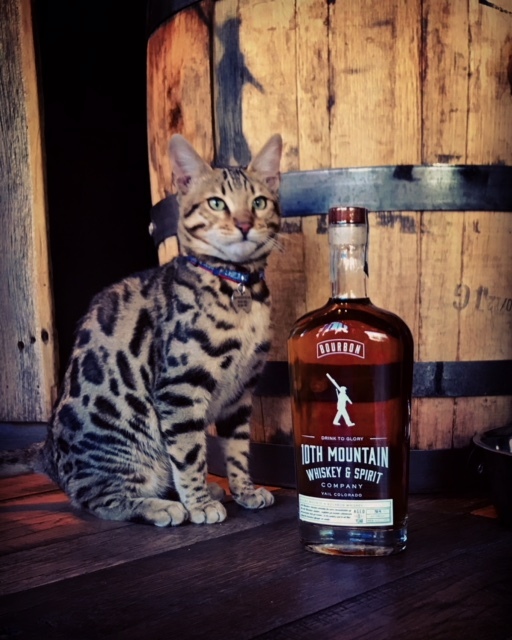 I’m very excited to be the first cat to visit the 10th Mountain Whiskey Tasting Room. Posted August 1st, 2017 by ryan & filed under Newsletters. Happy Fourth of July! We hope everyone is enjoying the summertime. 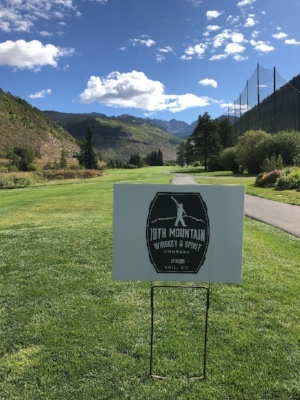 We certainly are here in the Vail valley and around Colorado. We have a ton happening and are sharing our story and our spirits with everyone we come across. 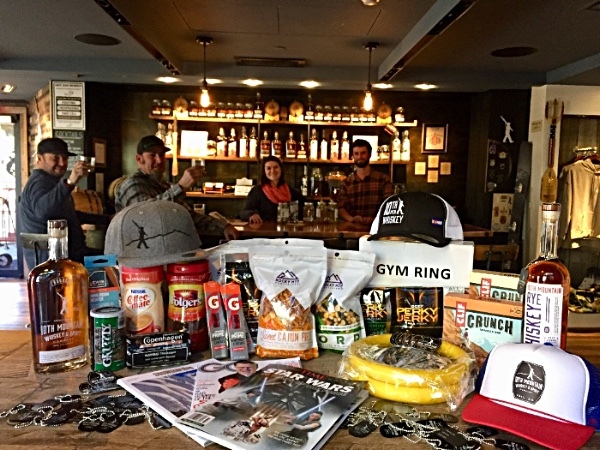 We’ve recently had the pleasure of hosting a group of Black Hawk pilots at the distillery and hosting a group of Navy Seals at our Vail village location. Both were super humbling experiences. Come in to hear the stories of visits by these American Heroes. We have BIG news!!!! 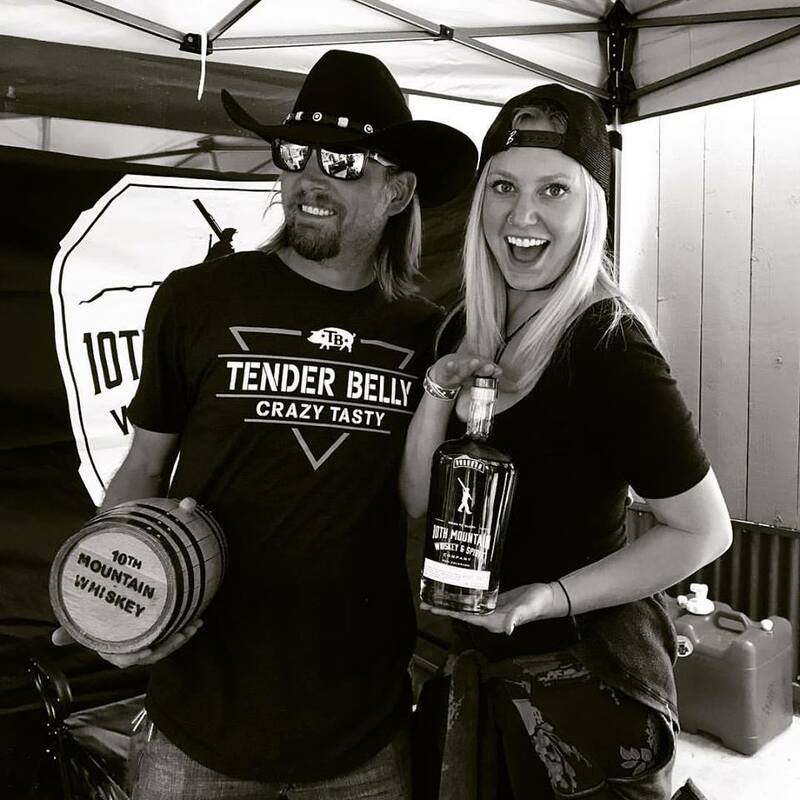 If you’re one of the lucky ones that live in the 25 states we can ship our spirits to, you can order directly from our website (Click here for our website) now! Click the link to get a bottle shipped directly to you! Cheers! 1. Pour cocktail ingredients into a shaker filled with ice and shake well. 2.Strain into a chilled glass. 4. 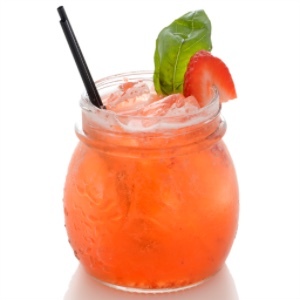 Garnish with a strawberry. Made in the USA by WOODCHUCK. For every product you buy, they plant a tree. 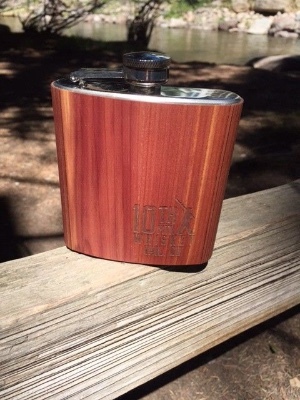 This custom 6oz, stainless steel, wooden flask perfect for camping or on the mountain! 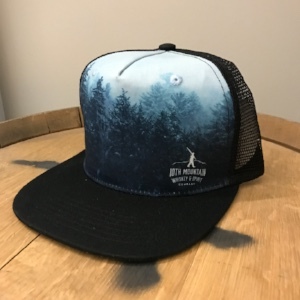 MEET THE DOGS OF 10TH MOUNTAIN WHISKEY! 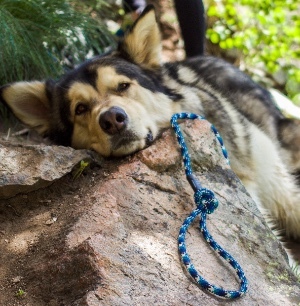 My name is Rocky, I’m a three and a half year old Alaskan Malamute born in Edwards, CO and living the big dawg life in Vail! I love romping through the woods, backcountry adventures with my humans, howling at everyone excited to see me in town and hanging at the local watering hole, 10th Mountain Whiskey tasting room. 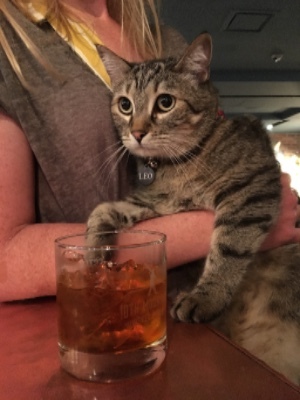 The more whiskey the humans drink the more pets I get! 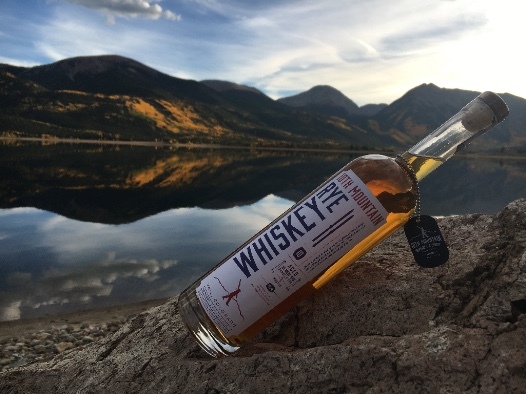 Come follow along with my adventures on instagram @colorado__rocky bringing 10th whiskey everywhere we go! We have BIG NEWS…We are now able to distribute to the State of New York! Yes, that means the modern day 10th, stationed in Ft. 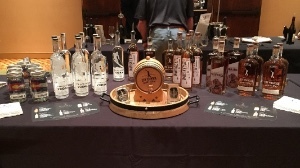 Drum, NY, will now be able to get their hands on our spirits! If you’d like to recommend we get in a liquor store, bar or restaurant, please pass along their information through our Contact Us page on our website! We’ll take care of the rest. Here in Vail, summertime has kicked into full gear. It’s beautiful here. Get outside, play a while, then come join us at our tasting rooms or at one of the many events we’re at. Oh, and check out pictures below of our first ever Grills Gone Wild. 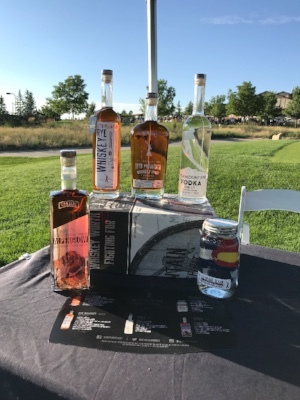 It was a great fundraiser event for the Vail Veterans Program that included a BBQ Cookoff, a Cocktail Competition, live music and free tours of the distillery! Put it on your calendar for next Memorial Day weekend! 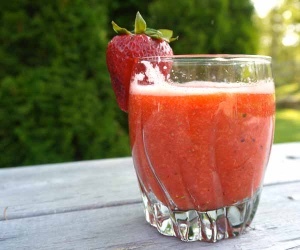 1.Place strawberries and a 1/4 cup water in a blender or food processor, and pulse until puréed. In a medium saucepan over medium-high heat, add strawberry purée and 1 3/4 cups water, and heat until mixture just begins to boil, 5 to 10 minutes. Add sugar and stir until dissolved. Remove from heat and allow to cool completely, about 30 minutes. Strain through a fine mesh sieve and discard solids. Chill syrup at least 1 hour. 2.In a large pitcher, combine syrup, bourbon, water, lemon juice, and bitters; stir for 1 minute. Add basil, and stir to combine. Strain into 8 tall glasses filled with ice. Garnish each glass with a basil sprig. 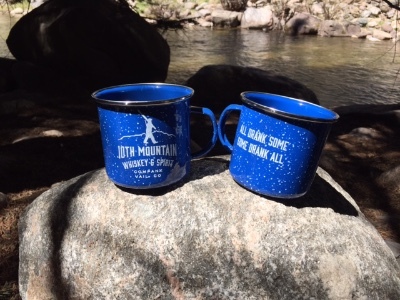 Camp in style with our Custom Blue Enamel camping cups. Perfect for any beverage, keeps hot hot and cold cold. 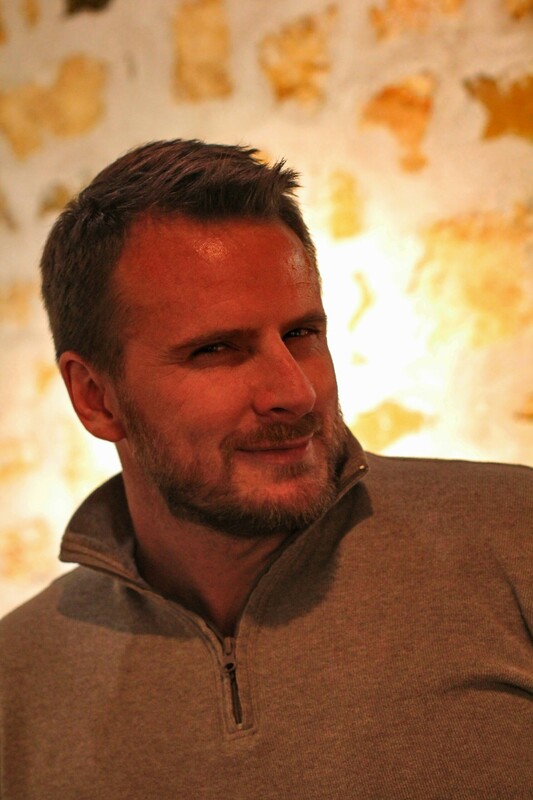 If you are ever in the Tasting Room in Vail, don’t be surprised if you see this handsome face! Meet Jameo, Golden Retriever extrodinaire! He loves to play, go for rides in his Dad’s truck and hang out with his roommate Maybe. Occasionally, he also likes to chase the cat. 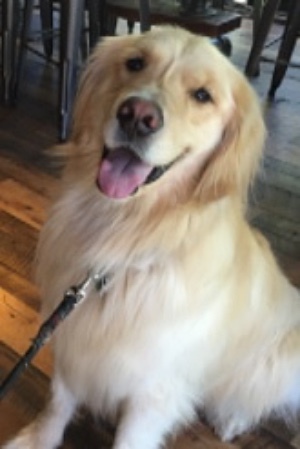 So if you see this pup around the village or in the Tasting Room, don’t be afraid to ask him for his paw! 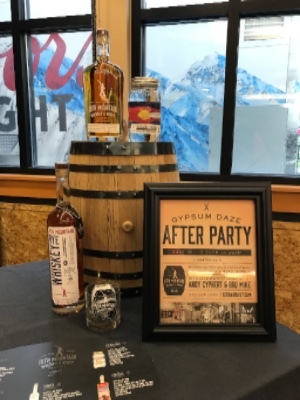 If you haven’t heard we’ve opened our tasting room in Gypsum at the distillery! 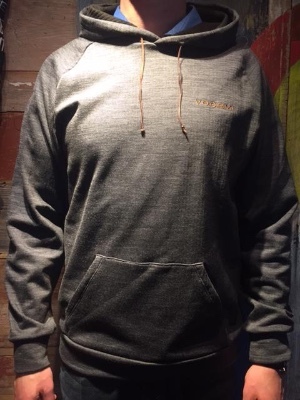 We’re offering tours, drinks and of course, our merchandise and are open 5 days a week, Wed-Sun, 1-9pm. We’d love to have you join us and swap a few stories. It’s a comfortable environment perfect for sipping on a delicious drink! If you can’t join us in Gypsum, we hope to see you out and about at one of our events in May! 1. 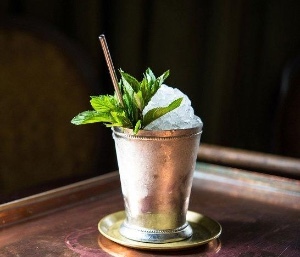 In a Julep cup or rocks glass, lightly muddle the mint and syrup. 2. Add the bourbon and pack tightly with crushed ice. 3. Stir until the cup is frosted on the outside. 4. Top with more crushed ice to form an ice dome and garnish with a few drops of bitters, if desired, and a mint sprig. 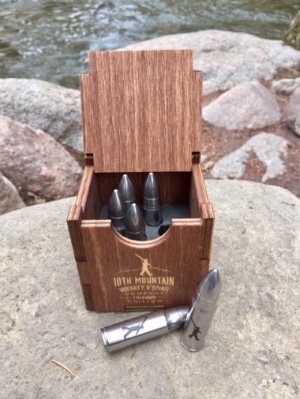 These custom stainless steel bullets can be used to cool your 10th Mountain Bourbon, Whiskey, or Vodka and unlike ice, our custom 10th Mountain Whiskey Bullet™ will chill your liquor without diluting the flavors. Each drink is unique and you only get one shot, make it count. 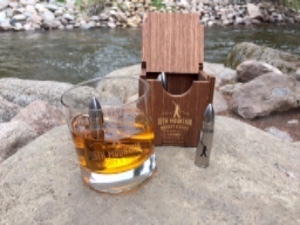 The Whiskey Bullet™ stays at the bottom of the glass, bring a mellow chill to the drink, cooling your spirit without diluting the flavors. The cube edges are rounded, preventing scratching and easy to clean. The bullets don’t add any flavors or smell. A great gift idea not to mention, they look great in the glass! 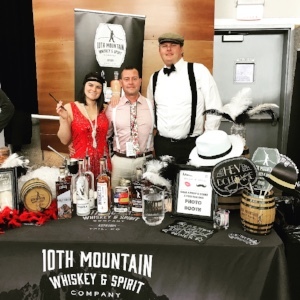 MEET OUR GREAT 10TH MOUNTAIN WHISKEY TEAM! Born & raised in Houston, TX, I became a Vail resident in 1998. I’ve lived here longer than anywhere else in my life, even Houston. I guess that means I’m close to becoming a local. After bartending around town my first few years I decided to take the leap and open my own restaurant, The Westside Cafe. A few years ago I saw the craft distilling industry picking up speed so figured someone in town should be making some spirits! Why not me, I thought. 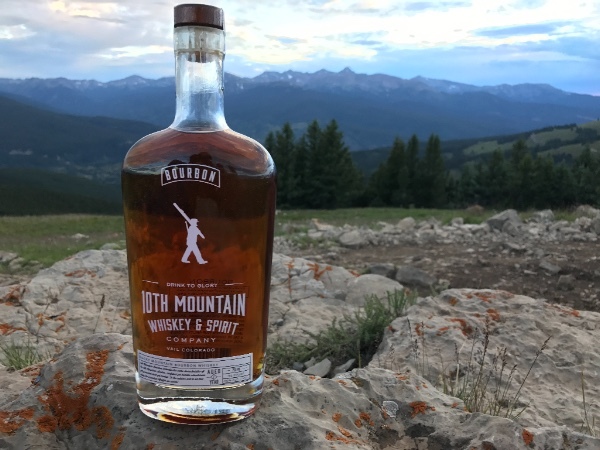 Now, 10th Mountain Whiskey is an amazing team of people, accepting the daily challenges of growing the brand and spreading the good word. I’m not sure where it’s heading but I’m happy to be along for the ride. 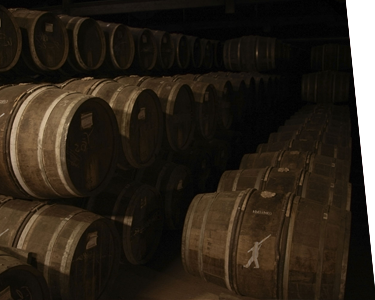 I look forward to sharing a little whiskey with you in one of our tasting rooms. Cheers! Posted April 4th, 2017 by ryan & filed under Newsletters. We have BIG NEWS….We are now in the great state of Wyoming! We’re starting to send our whiskey to our northern neighbors and it’s being received with open arms. We knew it would. 😉 Look for it at bars, restaurants and liquor stores! 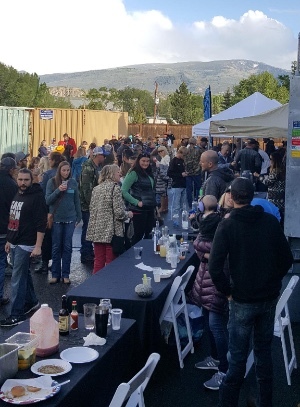 If you’re in Colorado, there are some great events happening in Vail for the springtime and the close of the mountain. Come check ’em out. And also check out the articles below. There are some great ones! 1. Add all the ingredients to a shaker and fill with ice.2. 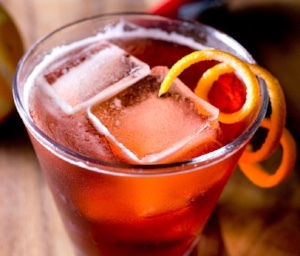 Shake, and strain into an Old Fashioned glass filled with a large ice cube.3. 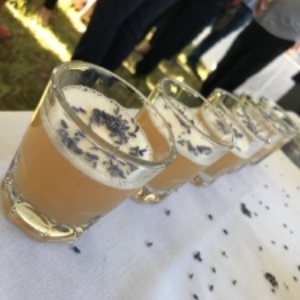 Garnish with a slapped lavender sprig. Home State: KansasHello, my name is Caitlin and I’m from Lawrence, Kansas. I moved to Vail in 2008 from North Carolina where I attended the University of North Carolina. Growing up, I focused all my energy on tennis but was always fascinated with the mountains. After college, I drove across the country and landed in Vail only knowing one person. I’ve called Vail home ever since. 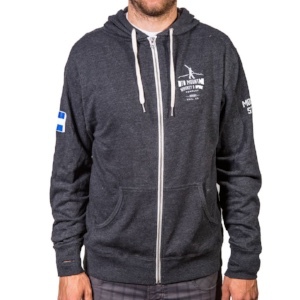 My passion is tennis but my love of skiing is quickly catching up! I have a golden retriever who is 11 months named Blanche. The two of us love cruising bridge street and sipping on good whiskey!! I’m so lucky to be apart of the 10th Mountain Whiskey crew!!! I’ve not only enjoyed learning about our spirits but the history of the 10th Mountain Division which was originally located in Camp Hail! Hope to see you all soon!! !